I have endured over the years much criticism for indulging a side of my character I am unwilling to relinquish. What some might call faith in the human spirit, others would frowningly dismiss as naivety. Many people owe me money as a consequence of my giving nature but I am able to let this pass in the knowledge that money is not the only means of returning favour, and the soul lives forever, so there is plenty of time for the karmic balance to be restored. If one is resigned to spend their days in what I now refer to as a human dwelling box, having a comfortable one is essential. Back in the day it was important in my mind to have a spare room within the dwelling box, primarily used for junk storage, growing marijuana and guests. I recount this side of my character because in 1997 I befriended a Spanish man at University and let him stay in my spare room for the good part of half a year. It was at the time a contentious issue, yet one I would not be budged on. There was much less junk in my life back then and I had not yet been introduced to the indoor growing club, so the room was unused and it was logical to let Francisco stay there. He returned to his home country after acquiring his film degree and the two of us have barely spoken since. Two weeks ago I was sitting in a field with some new friends discussing the wonders of this part of Spain. I don't remember the context exactly, but Barcelona came up and Francisco popped into my head. All I had to do was call him and ask if he knew where we could stay. 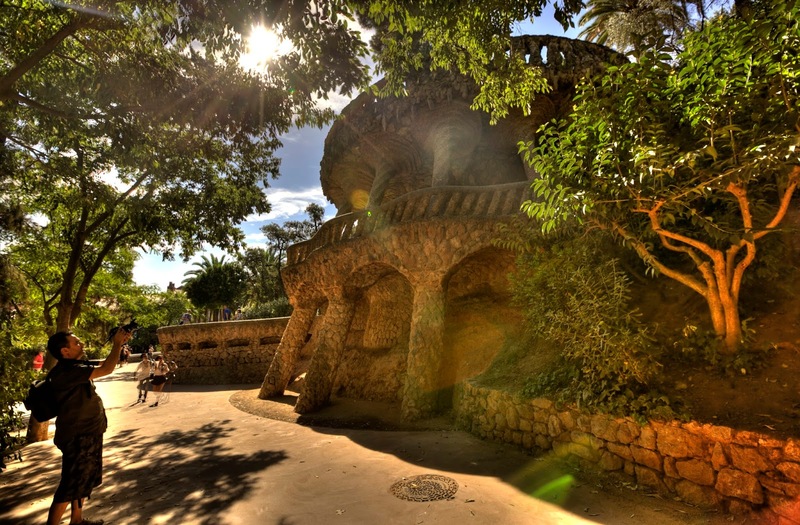 Not only does he have access to an empty dwelling box in Barcelona for us to relax in at will indefinitely, but it is not more than a few steps from the alluring Park Guell, one of the many masterpieces of Gaudi, an architect whose organic designs are synonymous with this city. 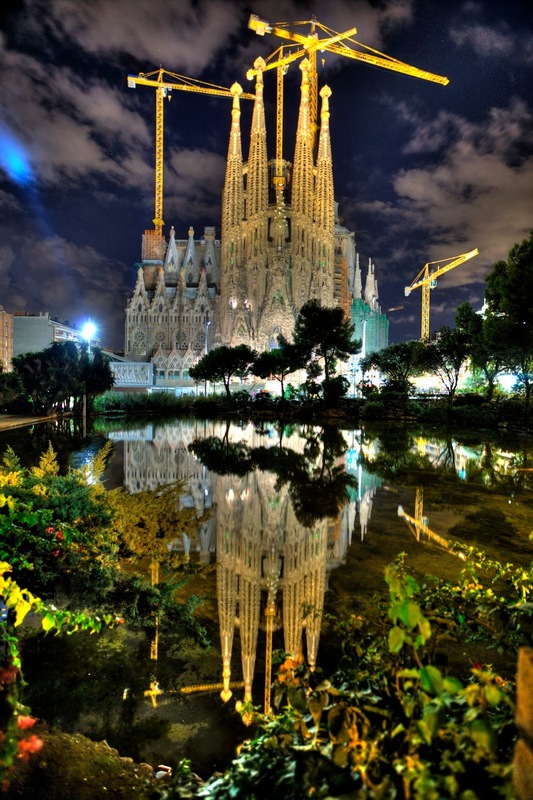 The ongoing building work of his impossibly complex Cathedral, the Sagrada Familia stands as a lasting testament to his genius. Our arrival here it turns out is rather timely too, for the park is only a few weeks away from becoming a source of income for the struggling Spanish economy. 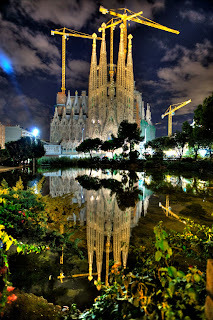 Gaudi had intended for this place to be free to all, yet in these modern times of systematic failure, the morals of our predecessors fall quickly by the wayside. It is hard to ignore the spray-painted signs in all the roads surrounding the park, demanding justice. Yet they are washed away as quickly as they arrive and the voice of the people remains unheard. Rather conveniently, Franc works now as a tour guide for small international groups and has a fantastic knowledge of the place. Needless to say, we have put this to good use and found some beautiful spots in which to shoot time-lapse. And I should add, Franc is now hooked on our unusual hobby and has been coming with us to shoot his own time-lapses. It is a wonderful road to take and I am happy to teach anyone willing to stand by my side and listen. On that note, Dominika and I are formulating plans for a moving time-lapse school; something I think that will bring us much joy. How it will happen I do not know, but the first step to manifesting any new reality is always desire. And desire has been established. Having a dwelling box to call my own again has certainly had its advantages. Aside from the now consistent supply of re-charged batteries, a desk from which to work and the the other obvious joys of dwelling box life, my love of green juices, fruit smoothies and fancy salads has been able to flourish once more. The kitchen thankfully came with a blender. Yet the strange and slightly scary white-faced porcelain clown dolls that watch me from the shelves won't let me forget the irrefutable paradox of dwelling box life. This static comfort breeds an invisible kind of laziness and a powerful addictive sense of nostalgia represented by items from one's past, items that only multiply in number, in the end giving rise to the need always for the same thing: a larger dwelling box. Or as it seems is the way in Spain: a second dwelling box in the country. As to Barcelona itself, I am less comfortable here than in the petite confines of Pamplona, but the undeniable originality of the place makes it very hard to stay indoors watching blue render lines on a computer screen. Any city with it's own sandy beach and a sunrise that comes from across the sea is likely to be special, but to have a public park on top of a hill overlooking it all is the real icing on the cake. And unlike so many mature cities, its roads are designed around a simple straight line system, making it much easier for people like myself to find their way around. In addition to this, the Metro system seems efficient, uncrowded and inexpensive. London Underground doesn't even come close in comparison. The gothic quarter is more complex in its design; a maze of antique graffiti-laden alleyways, leading you always to another square filled with a bubbling culture cauldron of drinkers and performers, and the type of buildings that demand more than a passing glance. The modernity of the new business quarter speaks of a country once wealthy beyond imagination, and it speaks too of tireless architects living in the shadow of a great man, each one clambering to outshine him. 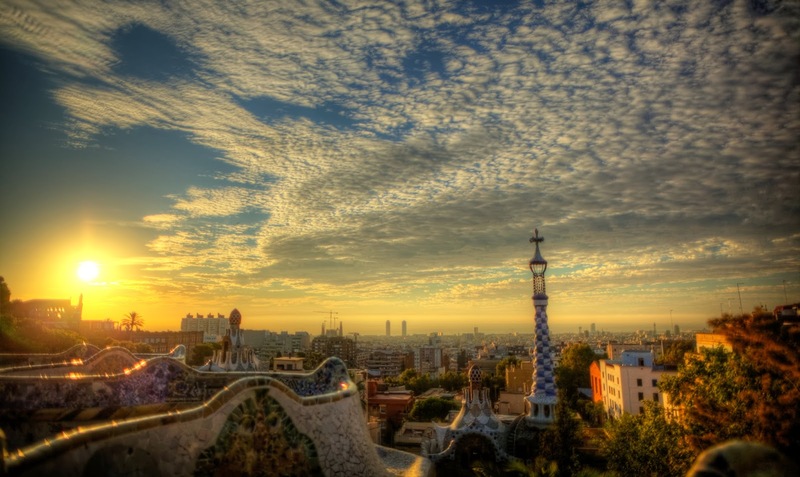 The idea of creating a time-lapse film that accurately represents Barcelona is uncomfortably overwhelming. And it is a task I am not ready to take on. My challenge, both in life and in my films, is to keep on evolving. With every desire fulfilled comes a new feeling of contrast and a new perspective of the world from which the next desire is born. I made a conscientious decision to be free from the constraints of having my own dwelling box, for to create effortless time-lapse fuelled by love, I realised that I needed to keep moving. I am excited beyond measure upon discovering a new place and my instinct is always to capture it immediately, for once I have seen a place twice, the magic seems, well… less magical. Yet nothing has changed at all except that I have become more excited by somewhere else. My experience of that which I have already seen stagnates very quickly and to time-lapse a place is to see it in a way that is all-encompassing. 90% of my time when shooting is spent in silent appreciation of the visual spectacle before me. And when the time-lapse is finally processed I feel like I am glimpsing at the essence of the place. Something that few of us care to look for. Though if I had been born here, I would no doubt have walked past every one of my time-lapse sites with barely the blink of an eye. Chapter 1 gave birth to many potential paths of evolution for this time-lapse odyssey, but most notably it forced me to evaluate the limiting features of the meter-long tracking system. Like me, the camera was asking for freedom from its constraints. And it has been a pleasure to oblige. 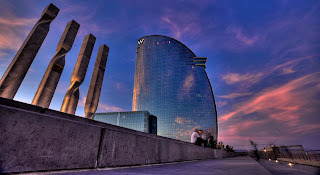 Hyper-lapse is the phrase which has been chosen to coin the new system of capturing greater distances in time-lapse. It requires a steady hand and an unfaltering focus upon the little monitor at the back of your camera. It requires much patience to shoot and even more to painstakingly process and stabilise the HDR images. Our first tests were shaky, but there has been little in the way of rest over the last two weeks and the system has evolved quickly. In answer to those of you who are asking what has happened to our Camino, I proclaim that we are still on it. We met many pilgrims who have been walking the route for over thirty years, returning to it for only a few weeks each year. Always heading towards the same place. And a wonderful place I am sure it is. But why Santiago? I believe it can be any place you choose and you can change your mind as often as you like. The road to Santiago served as a good starting place for me. A means of pulling me away from England with a clear focus of intent. Now that I am doing what I love, the choice of roads before me has become infinite. And there is no wrong direction. Two weeks ago we posted Chapter 1 on the internet and are now enjoying the little ripples from this wave of joy. Aside from the many lovely compliments there has been good constructive criticism and more than this we have been offered representation from a small but fair UK based time-lapse company who make me feel a whole lot better about having turned down the less than desirable contract offer from Getty Images. So the means to be paid for doing what I love is effortlessly manifested. And it happened by doing only that which makes me feel good. The Law of Attraction in motion. Whilst I am certain that saying goodbye to the dwelling box lifestyle was the right choice for me, I remain consistently grateful that the majority of people take the more static approach to life. Thank you all for opening your doors to me.